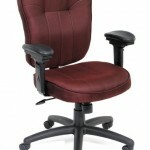 Upholstered with commercial grade crepe fabric. 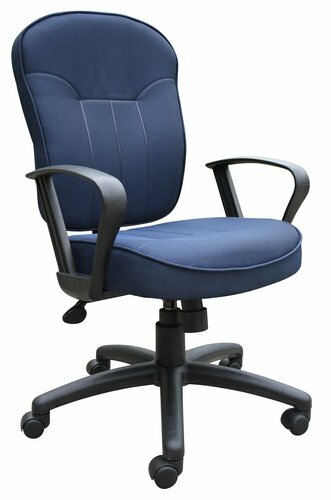 Available in Blue, Black, Burgundy, and Grey (as shown) Mid back task chair styling with firm lumbar support and extra large cushioned seat and back for all day comfort. 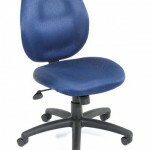 Soft and durable molded polyurethane armrests. Solid nylon bases with double wheel casters for easy movement.